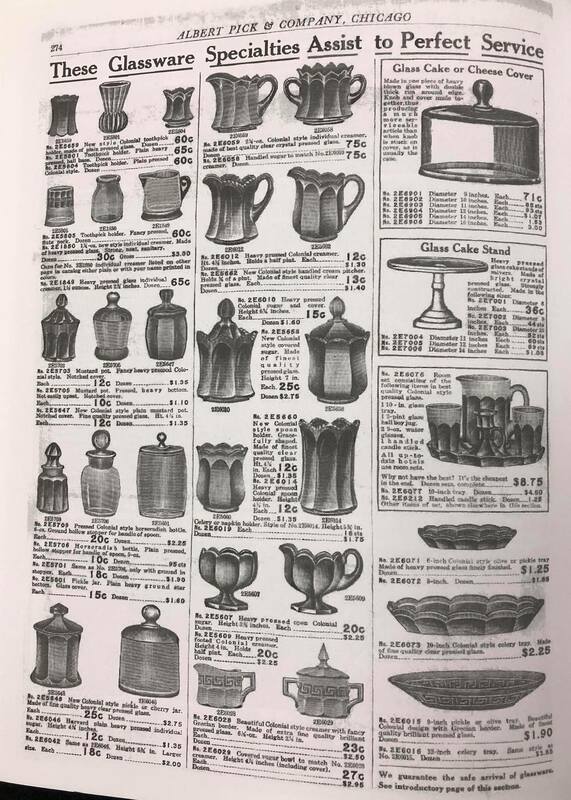 In 1857, Albert Pick and his brother Charles founded ‘Albert Pick & Company’, based in Chicago, as a kitchenware and furniture supplier for hotel and restaurant markets (Clayman, Made in Chicago Museum). The company grew steadily, and by the early 1900s, it had become a major supplier for hundreds of leading hotels, selling tables, chairs, silverware, linens, dinnerware, and even the first dishwashers! 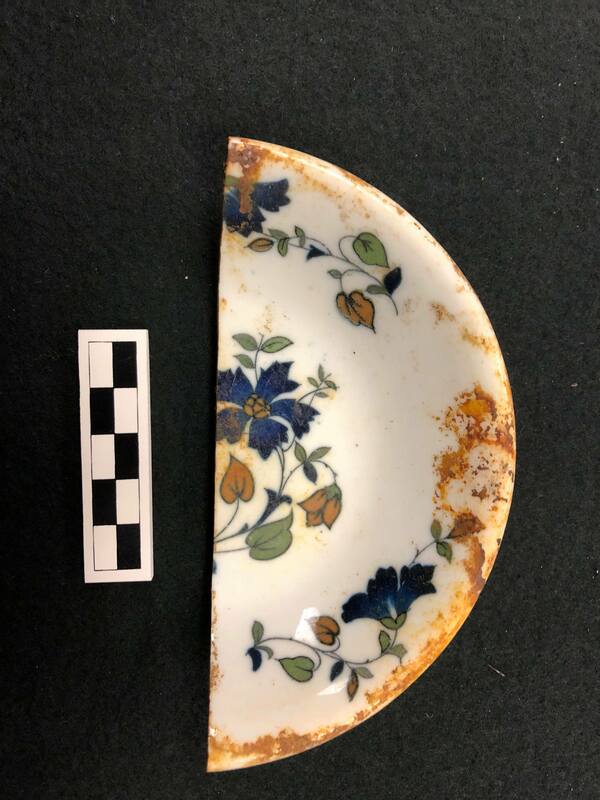 While most of the earliest ceramics purchased by MSU were from England, ‘Albert Pick & Company’ wares became more popular in the United States during the 1910’s, 20’s, and 30’s, corresponding well with the time period in which the Brody/Emmons dump was in use. 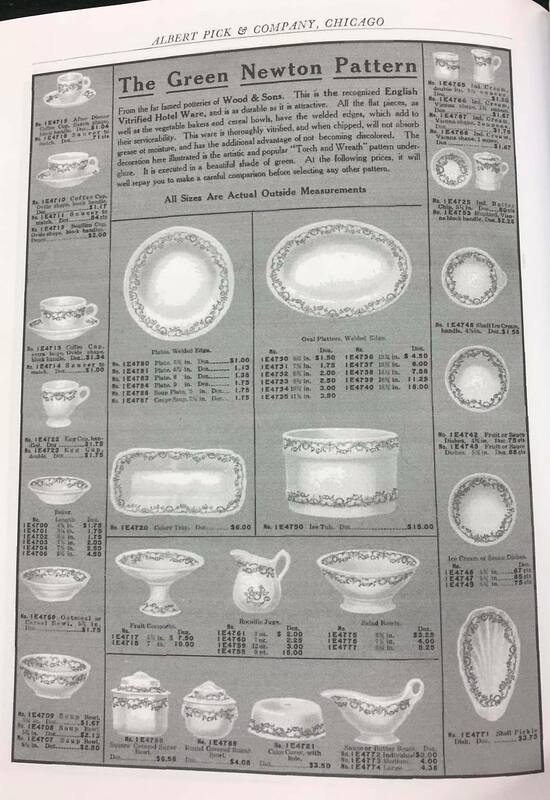 Among their many items for sale, Albert Pick and Company offered a wide variety of dishes, as can be seen in the photos below from their 1913 catalogue. Not only were different types and designs of dinnerware available, but a range of sizes were also provided. For example, six different sizes of plates were advertised in ‘The Green Newton Pattern,’ allowing the purchaser to tailor their choices based on their specific needs. 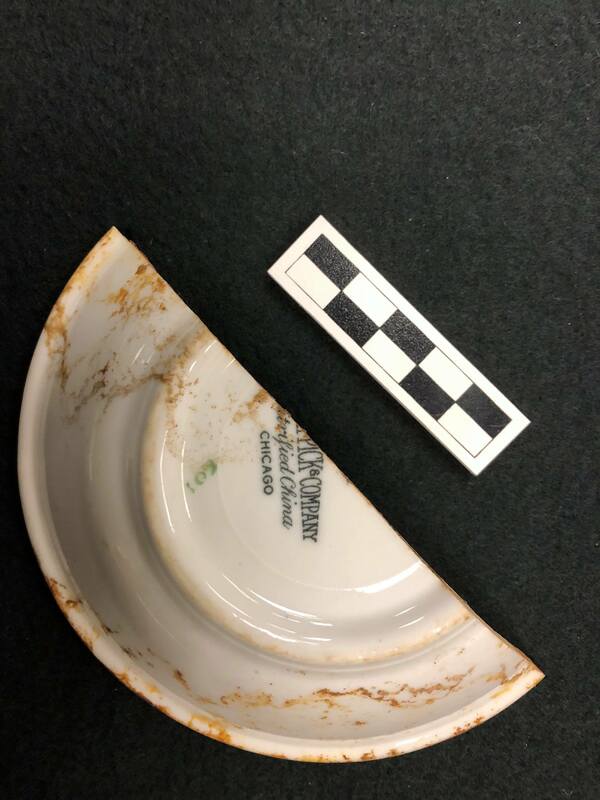 While there is no direct evidence that this specific dish was purchased by MSU, as it was recovered from the first East Lansing dump, it is possible that it was bought for use on MSU’s campus or at a restaurant or hotel in East Lansing. This is fascinating, thank you! I had no idea of the supplier side of the business… when I think of Albert Pick and East Lansing it’s the Albert Pick Motel that once stood at the southeast corner of Saginaw and Coolidge. It was operated by the same company, but it was built a few years after the Brody dump closed (so this piece could not have come from there).